Hillary Clinton plots her general election Trump strategy. 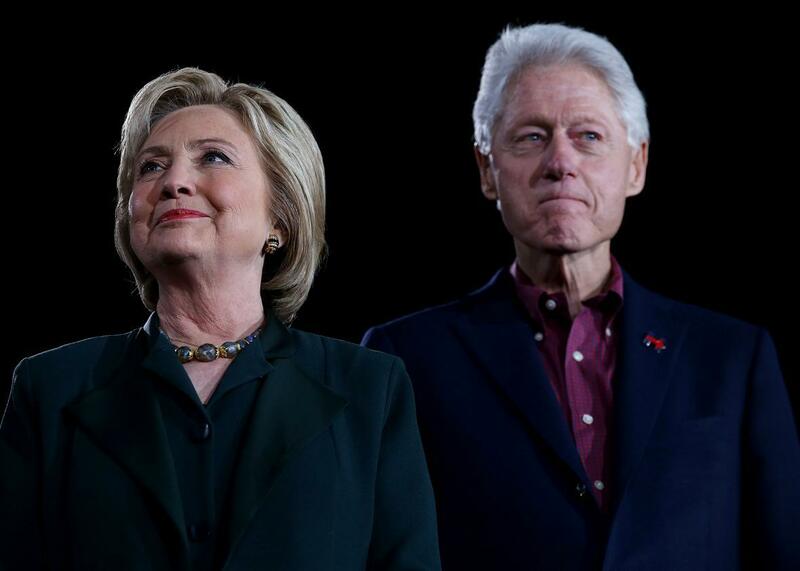 Hillary Clinton and her husband, former President Bill Clinton, at a campaign event at the Clark County Government Center on Feb. 19 in Las Vegas. Republicans aren’t the only ones coming to terms with the reality that Donald Trump is looking more and more like the presumptive GOP nominee—so too is the Clinton campaign. Now the question is: What are Hillary and her allies planning to do about it? To fight Mr. Trump’s ability to sway the news cycle, [Bill] Clinton would not hold back on the stump, and President Obama has told allies he would gleefully portray Mr. Trump as incapable of handling the duties of the Oval Office. In many ways, the conversation in the Clinton war room mirrors the one that has taken place among pundits and the political press since Trump’s runaway win in Nevada last week. Here at Slate, for example, Jamelle Bouie and I agree that Clinton would be the favorite in a general election matchup with Trump, though we differ on just how much his critics should be worried about his uncanny ability to defy the normal laws of politics. I’m filled with considerably more epistemological dread than Jamelle is and tend to agree with Matthew Dowd, George W. Bush’s chief campaign strategist in 2004, who put it thusly to the Times: “Hillary has built a large tanker ship, and she’s about to confront Somali pirates.” The tanker wins that confrontation more often than not—but no one onboard the ship should feel safe when they see pirates on the horizon.